What is a “Wrongful Foreclosure”? 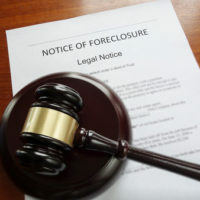 If you have received a foreclosure notice, our Fort Lauderdale real estate attorneys understand that you may be feeling helpless and a bit frustrated. You did everything you could to keep your home, and even believed that you still had a chance—after all, you may have worked with an attorney or financial advisor and were told that you still had time. But then you were told that you are out of time, and that your home is no longer yours. You want to know how you went from having hope to losing everything in a matter of days. At the office of Edward J. Jennings, P.A., our attorneys thoroughly understand the foreclosure process, and we know what constitutes a legal foreclosure and what constitutes a wrongful foreclosure. If you feel that your home or property was foreclosed on suddenly, or that the process was not complete, or that something was “off,” reach out to our lawyers today. We can evaluate the circumstances surrounding your foreclosure and determine whether or not there was something fishy about it. Signatures Were Forged: In most states, lenders are required to submit a foreclosure petition with the courts and to receive approval from a judge at each phase before moving on to the next. This is to make sure that the defendant actually sees and signs the foreclosure documents, as lenders have been known to sign “on behalf of” the homeowners, which is illegal and can result in a wrongful foreclosure. Robo-Signing: Robo-signing is basically like forgery except that it is done unintentionally. Lenders are often overwhelmed with paperwork, and they have several documents they need to sign. To speed through the process, many employees will just thoughtlessly sign off on documents without actually reviewing their contents. This is called “robo-signing,” and though it may be unintentional, it can still amount to a wrongful foreclosure and criminal sanctions. Failure to Abide by the Servicemembers Civil Relief Act: If a lender does not follow the procedures set out in the federal Servicemembers Civil Relief Act, the foreclosure could be considered wrongful. The act requires lenders to go through the courts even in states that do not typically require them to do so. Furthermore, the SCRA stipulates that active duty military members must be given a nine-month window to try and bring their mortgage payments up to current. If they are not given that additional nine months, the foreclosure could be considered invalid. Failure to Abide by State Procedures: Every state has its own processes and procedures that lenders must adhere to when foreclosing on a property. The foreclosure process is meant to be fair for both the lender and the borrower, but when the lender commits fraud or does not abide by the rules, it becomes a losing game for the homeowner. If you suspect that you were not given fair treatment in your foreclosure, and if you want a shot at a second chance, reach out to the Fort Lauderdale real estate attorneys at the office of Edward J. Jennings, P.A. Call us or request an appointment online now. © 2017 - 2019 Edward J. Jennings, P.A., Attorneys At Law. All rights reserved.